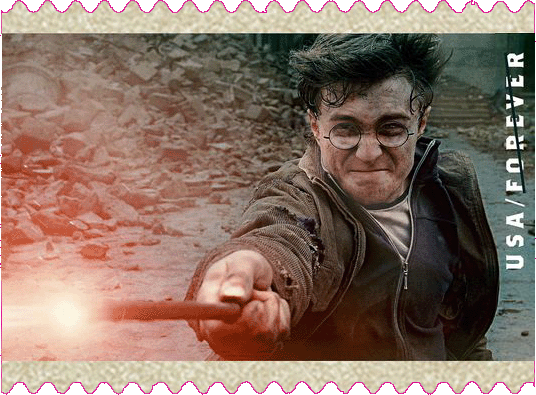 Harry Potter causes trouble for USPS - over sales to Royal Mail! "The Postal Service needs to improve controls over off-sale inventory at the Kansas City SFS. Management did not follow policies to dispose of off-sale inventory in the best interests of the Postal Service. Further, management provided Harry Potter stamps at a discount to Royal Mail without Postal Service Headquarters' knowledge or approval. "Management sold off-sale inventory at a discount during exclusive employee sales events. Postal Service policy requires employee sales to be held in conjunction with public sales or auctions that have been advertised to the general public. "Management provided Harry Potter stamps at a discount to Royal Mail without headquarters' knowledge or approval. Specifically, after verbal agreement, management provided 2,649 books of Harry Potter stamps with a face value of $24,371 (£16,564) to Royal Mail during FY 2014. "Headquarters contributed to this issue by allowing an environment in which management operated the SFS without regard to established guidelines. Postal Service policy states that it is unlawful for Postal Service employees entrusted with the sale or custody of postal stamps to sell stamps for less than face value. As of April 6, 2016, the Postal Service has not received payment from Royal Mail and risks losing revenue of $24,371." It's hard to believe that Royal Mail took any stock from USPS without some sort of written agreement. There have been reciprocal arrangements in the past when Royal Mail sold stamp products from the USPS and Canada Post, and vice versa. Although the US$ prices set by the USPS for British products were higher than the face value equivalent, it's difficult to believe that some discount was not offered, in both directions. Possibly the main problem with the US Harry Potter issue is that nobody at PSHQ knew about it, and hence there was no documentary approval at SFS.